Fantastic read , thanks for compiling, Does official history books differ ? Many thanks for your comments.If by official history books you mean the history textbooks used in our schools;then it is not even touched upon by them. History books geared towards students of history disucss this battle and the description is not very different from what i have written,as they base their writings on the account of Fernao Nunes (translated by Robert Sewell). where i do differ is in the conclusions I have drawn.History books conclude that the “rising arrogance” of the Hindus after the battle was responsible for their subsequent defeat at Talikota in 1565 CE.but as you can see from my concluding remarks this is a complete fallacy. I just finished reading this, great job! We need more articles like this narrating our history instead of the standard defeatist version we are taught in our schools to demoralize us and make us accept the current day semi IslamoChristian gov’t of India. This is one of the great military triumphs of Hindus along with Baji Rao’s Palkhed campaign and his brother Chimnaji Appa’s campaign to oust the Christian fanatics of Portugal from Vasai. May you have the time to write many more great articles like this filled with Veera Rasa which is the need of the hour if we are to save our 5000 year old Civilization. It is thanks to Dharmayodha’s like Krishnadeva Raya and countless others we still have a Hindu civilization to speak of. I plan to write many more articles as time permits.I have quite a few ideas in my mind.Only thing is with demands of day job,can be frustating not to have the time to write stuff!! Mnay thanks for the feedback. hmm..keep up this great work…at least some of the hidden history being told to us which we were unknown of! Manish,thanks for the feedback.Have a look at the links section of my blog.Extremely knowlegable people run most of them. Julian,thanks for the link to the Manasataramgini blog and the SK Aiyangar book.I will add it to my links section.One question: Does Hauma Hamidha or Ishwa run that blog? Shatruntapa, I applaud your excellent initiative of Hindu narrative. 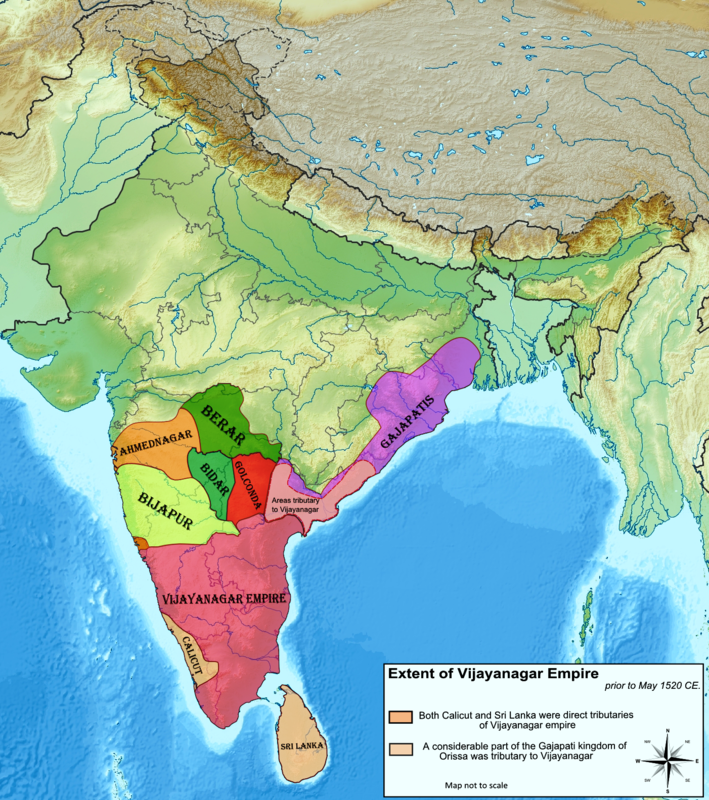 Hindu perspective of Indian civilization’s history is long over due. What is commonly available is the account of the invaders of this once great civilization. ‘the account of ‘the hunt’ from the lion’s perspective’. Sucheta,thanks for the good feedback.I appreciate it. 1. Indian women till about 17th century did not wear a top garment – but only a standard 5 yard saree. 2. Compared to near universal marriage in India, in the Desert Bloc marriage was a till about a few hundred years ago a rarity. Stable marriages which will celebrate shashthipoorthi is still a very low figure – probably single digits. Only the rich could marry their daughters. 3. Remember, Alexander’s Indian wife, Roxanne, from Modern Afghanistan, travelled with her husband on battles and wars. 4. Is it a simple case of brave Indian wives travelling with their soldier husbands – taking care of injured soldiers? 3. Acompanying the men to battle (which woman would be stupid to go to battle unless paid handsomely!). would seem, most likely to be courtesans. At least, on a per capita basis, Modern Indian has lesser prostitutes than Modern Europe. Patronage of courtesans by common soldiers is also not a common practice. Everything, I know about Indians goes against this ‘observation’. However, when you take the context into account, the picture would be different. Nunes account is quite balanced and avoids any histrionics but he was an european looking in from the outside.My primary analysis was towards the battle itself hence have only touched those points which came to my mind (see the last section which has my comments on Nunes account). I will incorporate your observations when I do a major update to the article which I will do once i can fluently read Kannada/Telugu.I know the basic script of these languages but will take me an year or so to get upto speed. 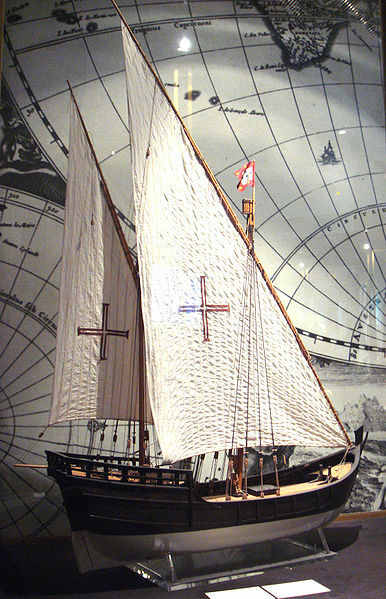 My primary purpose was to shed some light on the battle and set up a solid counter point to the lopsided western accounts which exist.the basic idea is to develop a template of major wars which have been conviniently forgotten by our “esteemed historians” and try to incorporate grapihcal representations to get the message across. This is brilliant stuff! Kudos to you Mr. Shastri. I really liked your Battlefield formation diagrams. I haven’t seen it on any other site, so I assume that its your work! they are brilliant. 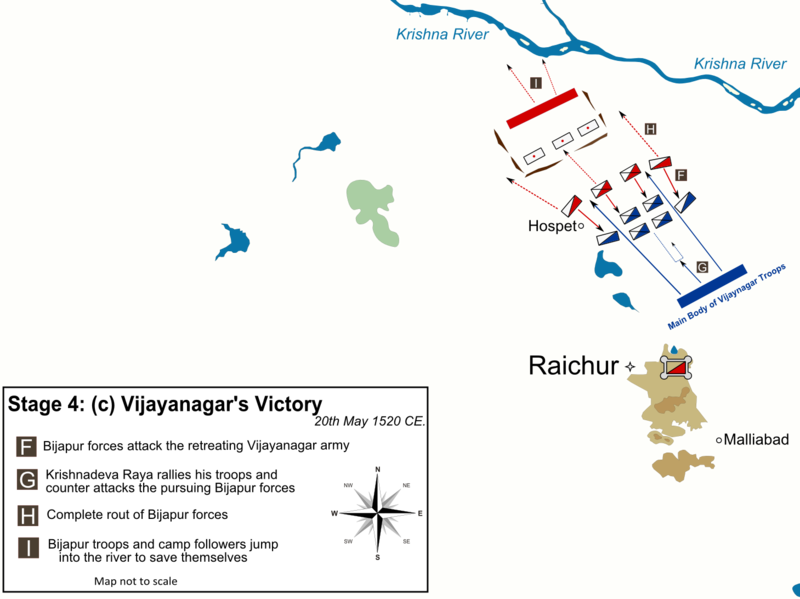 When Battle of Gaugemala in 331BC could be so well documented, I always wondered why werent our Indian victories well documented. 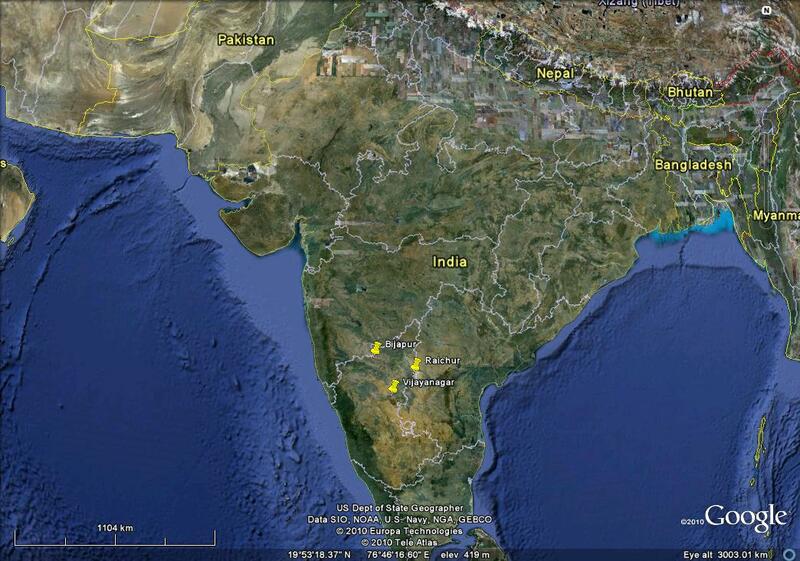 This blog of yours, I must say is a first step towards retelling our Indian history! 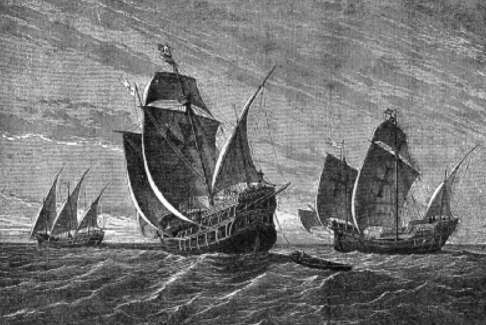 Nuniz was a Portuguese trader, who probably was trading with both the Bahamanis as well as the Vijayanagara kingdom and Firishta, a Persian whose father taught one of the Bahamani sultans! you can definitely expect some level of literary perversion from them! However, I must say, Sewell, has done a decent job of being neutral to a large extent irrespective of his British Raj connections. You have done a great deal of research to come out with what you have now! kudos for that! 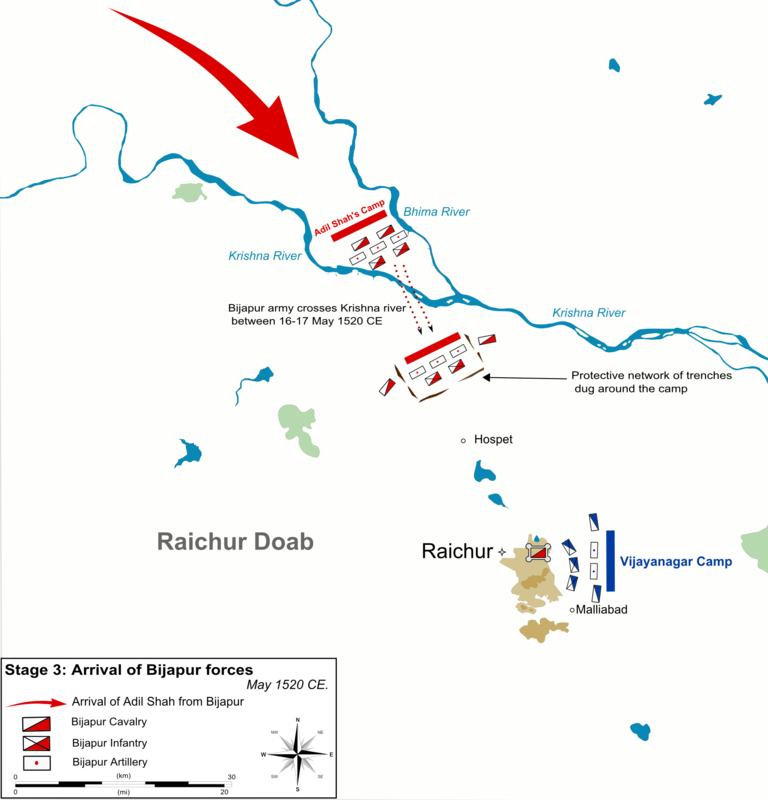 Yes the battlefield diagrams have been done by me.I will be covering more crucial battles which have been left out of our conventional histiography. 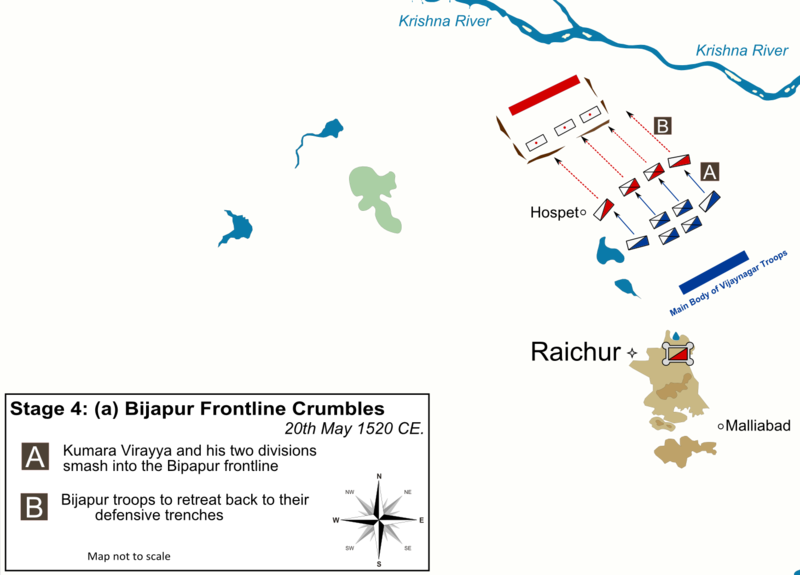 Hello, I am going a timeline on this website: http://althistory.wikia.com/wiki/The_Battle_of_Talikota_(Hindustani_Raj) is the link to what I plan to have as an alternate battle of Talikota where the muslims lose the battle. Comment really appreciated. great job!excellent work.sincerely request to you please insert the details of Battle of Pennar faught between Venkatapati Deva Raya and Sultans of Bijapur and Golkonda during Post Talikota Struggle period (probably in the year 1576 Ad)with a small force Vijaynagar army exterminated more than 50,000 Golkonda and Bijapur troops including the Sultans most able generals Rustam Khan and Khasim Khan. thanks for the kind words.I will certainly keep in mind your request. Fascinating yet ultimately disappointing read on 3 counts. 1. The elaborative nature of the article on a portentous subject and the timelines involved. 2. The fastidiousness of the blogger in selectively employing/interpreting historical perspectives. 3. Sadly, the bigoted and frankly, prejudiced and juvenile views about an entire people presented so simplistically. Ripley! Where art thou? Where’s the objective narration here of historical events? What’s the difference between the biased Christian / evil islamic / noble Hindu(ie. Your) narratives? They all seem equally deluded to me in proclaiming their own superiority over the others. Perhaps this version is meant only for noble Hindus? What’s more, I presume you consider yourself a true Patriot as well!! Please write article on Battle of Penner in 1588 AD(Previous comments,I was wrong,the battle of Penner faught in the year 1588 AD NOT 1576 AD),with a small force Vijanagara Army defeted combined muslim force Golgunda & Bijapore and killed more than 50000+. Please also write many more articles like DECLINE OF MADURAI SULTANATE (Vijaynagara victory over Madurai Sultanate under Bukka Raya’s son Kumara Kampanna Udaiyar.Kampanna’s invasion has been chronicled in the Sanskrit epic poem Madhura Vijayam (The conquest of Madurai) or Vira Kamparaya Charithram (History of Kampanna) written by Kampanna’s wife Gangadevi. 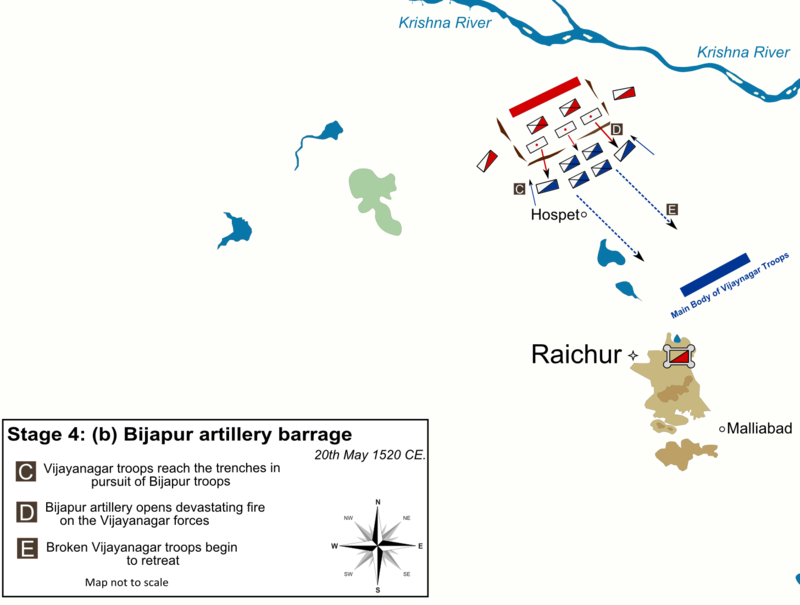 THE GREAT BATTLE OF BAHRAICH 1033 AD between Rajput confederation in North India headed by Raja Sukhdev and Islamic invadors from Iran and Afganisthan led by Salar Masood.In the Battle of Bahraich the northern India confederacy fought a pitched battle for about a month with the Ghaznavi army and completely defeated them killing Salar Masud in the process. 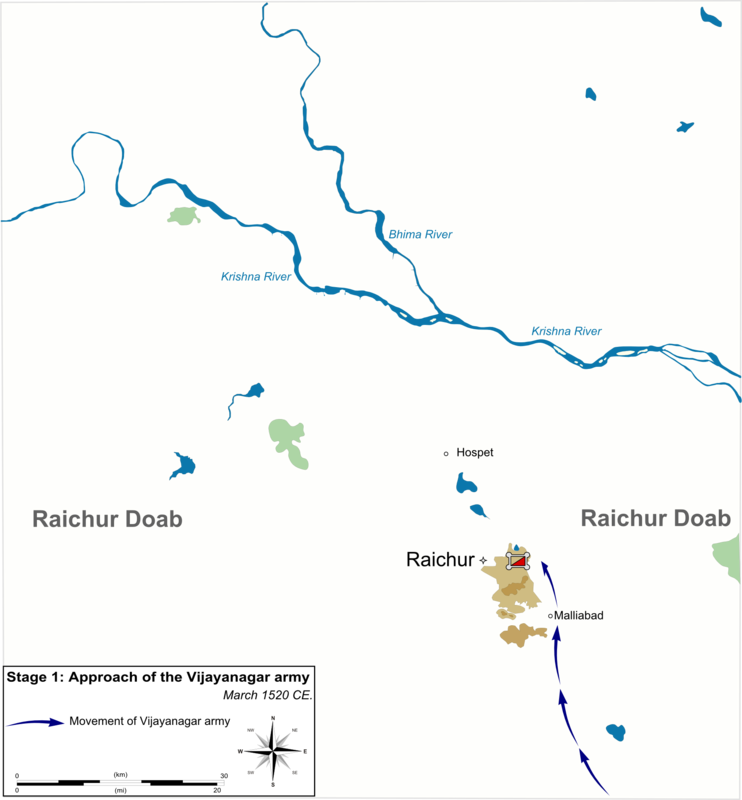 and BATTLE OF RAJASTHAN-Series of battle faught between Gurjar-Parihara Kings and Arabs in Sindhs.The Battle of Rajasthan is a battle (or series of battles) where the Hindu alliance defeated the Arab invaders in 738 CE and removed the Arab invaders and pillagers from the area east of the Indus River. Gangulyji, Thansk for you kind comment.I am researching on the Madurai war right now.I will post something substantial in the coming year or so.I will try and handle the battle of Penner after that. 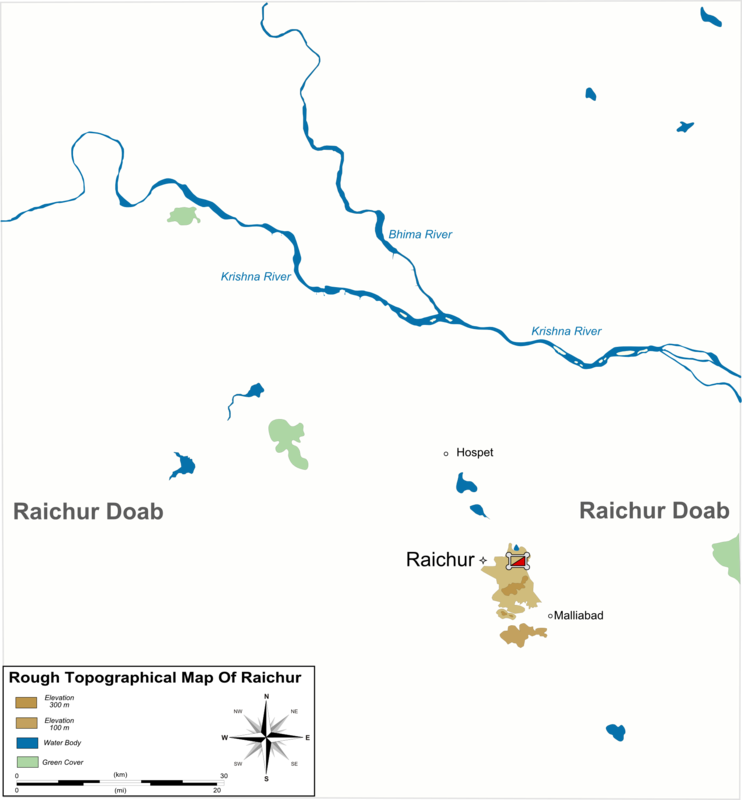 Excellent Article.Look forward for more article like Battle of Raichur. Thanks. I have posted your very valuable article to my FaceBook group with your website address. Hi. Great article. Would like to reproduce it on our site. If possible, would like to have a series on the same on our site! Please contact me offline for it. Am I glad I took up science and qualified! This article has more elements of scientific inquiry than the trash history about Akbar the greats dished out in school. Hats of to you. Great article. I relished reading the narration, analysis and diagrams of course. A very well written article. The Maps and strategy were very easy to understand too. However I do not agree with your 2 points detailing the reasons for the loss at Talikota. 1. There is no factual or documentary(from pertinent sources) of Muslims defecting from Aliya Raja’s army to the Deccani side. 2. Aliya Rajah only followed the practise of his predecessors by playing off a Sultan against another. It was necessary to keep the Muslim coalition in check. He did the best he could for his people. You are right about Ramraya,he was very courageous,but luck turned.I do remeber reading about a large faction of muslims joinig their kin on the other side.Will try and dig it up.I also have a translation of Ramaraya’s bakhair,I think posted it somewhere on the site. Thank for the comment.Sometime in future will do article on Talikota.